Paul Sun-Hyung Lee, Jean Yoon and Andrew Phung take the news quiz with host Gavin Crawford. 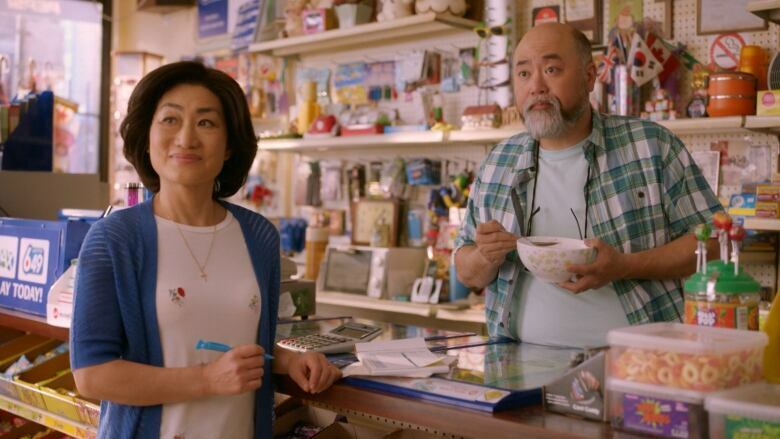 Kim's Convenience airs on CBC TV Tuesdays at 8:00 p.m., or watch episodes anytime on CBC Gem. ​Because News is written and produced by Elizabeth Bowie, David Carroll, Gavin Crawford and Phil Leung, with help this week from Ashley Botting, Jan Caruana, Jon Blair and Sarah Claydon.